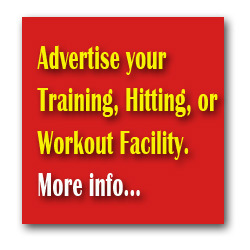 Need help finding a SPORTS TRAINER or TRAINING FACILITY? We have listed some training resources that can help your player(s) get that winning edge! Are you a SPORTS TRAINER, INSTRUCTOR or have a TRAINING FACILITY you would like listed here? Get exposure to hundreds of teams, thousands of coaches, parents and players! * Only available when none of the other fields are rented. *Cannot be rented out if 1 Large Field (180×50) is rented. *Only 1 Small Field (60×50) can be rented out if 1 Medium Field (90×50) is rented. *A minimum of 2 hours must be booked in order to reserve this size field. *Cannot be rented out if 1 Large Field (180×50) is rented. *Cannot be rented out if 2 Small Fields (60×50) are rented. *Cannot be rented out if 2 Medium Fields (90×50) are rented. *Cannot be rented out if 3 Small Fields (60×50) are rented. Private Instruction, Cage Rentals, Pitching and Hitting Clinics and More lead by renowned instructor CJ Silks! Prior to opening A+ Softball Academy, CJ was head of player development for All In One Softball Academy from 2003 to 2009 and owner of the DuPage Valley Vengeance showcase team from 2007 to 2009. He is a retired NCAA, ASA, USSSA, NFA umpire. These previous experiences help him to educate his players about the game of softball. He has been coaching female athletics from ages eight to eighteen by challenging them to become the best players of their ability in the game of softball. He is also known as ‘Doctor Fix It’ and has taken players further along by focusing in the true issues that are holding them back in their development process. 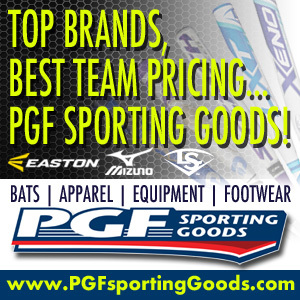 Indoor facility, fielding classes, hitting, pitching, catching, speed and power training, group and private instruction, retail sales.